Does happiness come from being fit? Eating more vegetables? 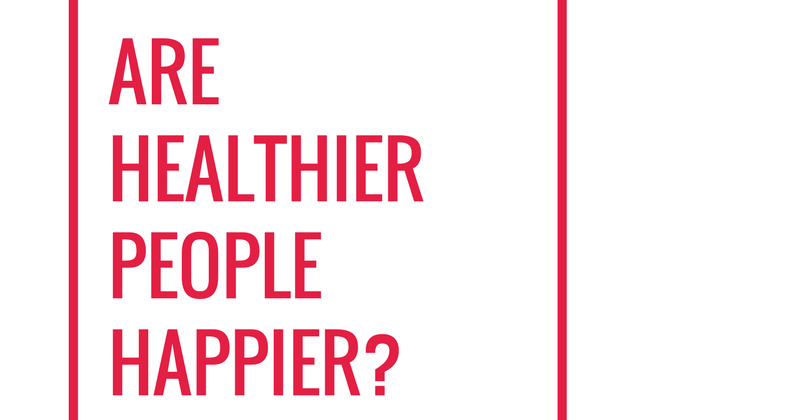 Are healthier people happier? Should happiness be considered when assessing how healthy someone is? As a trainer I work on achieving my clients goals, mostly that focus on muscular strength, weight control and habit changes. One big factor that I think is often overlooked that plays a huge role in how healthy any one person is, is happiness. There have been numerous studies on the correlation between these two. I can show you research that says yes, happy people live longer. People with ambition, who feel they have a purpose and who are surrounded by a supportive community are both typically healthier and happier. If you take on an optimistic outlook on life, you are proven to live better. We tend to focus on the negative. Have you felt depressed or alone vs. have you felt joy and laughter recently. I work with people on their physical strength and the food they’re eating, and while I am fully aware that by the end of our sessions they leave a happier version of themselves, I don’t always address this specifically. I introduce habits to decrease stress (again, focused on the negative) vs strategies to increasing the joy in your life. Why am I wasting your time reading this? Constant worry, stress or fear can wreak havoc on your body contributing to heart disease, strokes and affect your organs. On the contrary, positive mental health goes beyond just not being depressed. Moods and emotions are associated with improving biological measures such as blood pressure, cortisol and inflammation. It’s a big deal. While happiness isn’t the cure all, I think it should be added to the list. How do you define happy? It’s vague and subjective. When I talk about happiness and your health I’m specifically pointing at how satisfied are you with life. Do you have positive emotions regularly? Do you look at the glass as half full? That being said, it’s hard to define. As you begin to consider your own happiness you will become more self aware and able to define happiness for you. You don’t arrive at “happy” and stay there, it is an every day choice and up and down battle. What are strategies to help get you there? Surround yourself with people who want you to get outside and move more. Groups who offer you positive and uplifting words and spend more time celebrating than complaining. I think more than surrounding yourself with positive uplifting people, is getting the negative people out of your life. If you have friends who have a glass half empty mentality, or cause you to stress or worry more than usual, consider decreasing your time spent with them, for your own health. Get out and do things that create happy memories. Have new experiences that engage your mind and body. Your brain is happy when it continues to be challenged so stop sitting, and start doing. One of my favorite parts of making memories is reflecting on these experiences often and sharing stories from your adventures. My husband and I have created so many memories together over the years that the “remember when” conversations happen often and a walk down memory lane brings back all of the adventure and feel good emotions that went along with those memories. Instead of focusing on what you don’t have, focus on what you do have. Wake up every day feeling thankful for your health and your relationships in your life. Even on the hard days, challenge yourself to be thankful for something. Name it, say it out loud and acknowledge the good in your life. Living in a constant state of gratefulness will help you look at life with a half full perspective and can greatly increase your quality of life. Learn to forgive and not hold grudges. Let yourself not be anxious about the future, or dwell on the past. Cease each day and take advantage of the moments, maximizing your time doing instead of worrying. Exercise releases happy endorphins. It’s science, exercise really does make you happier. Do it daily and I promise you that you will feel happier. My husband and I have a routine that gets us out every day on a 3 mile walk and it is our time to connect not only improving our health but our marriage too! We block off this time and protect it from outside events. It’s our time to ensure we’re exercising daily and scheduling a walk to spend quality time together. Happiness focuses on a self-awareness that allows you to be you. 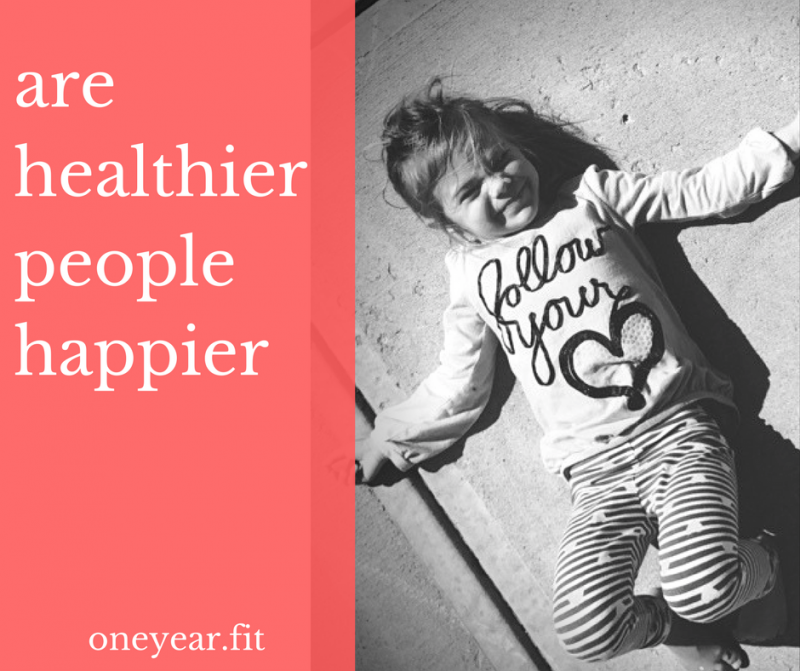 A healthier you is a happier you. Don’t believe me? Try it out for yourself. Commit to putting in the time to exercise, eat healthy, quit smoking and surrounding yourself with the people who motivate you. Keep your mind engaged in addition to prioritizing time to move your body. 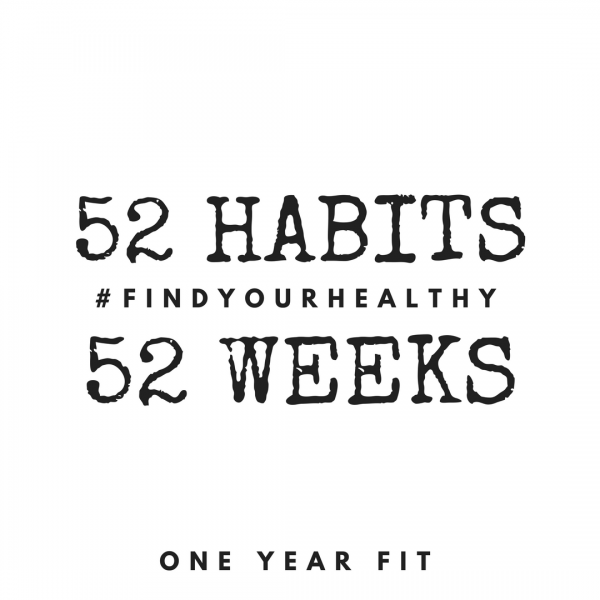 Making the big changes that are healthier are hard. Maybe you tried before and gave up. Or you doubt you can get there or you’re just be too lazy to care. You make excuses or have people in your family telling you that it can’t be done. It’s all a lie. You need to find the thing or person who motivates you, because I repeat,this is a big deal. Unfortunately most people wait until a major life event like a heart attack to make big changes. This is your health, your quality of life, your happiness. Why wait until it’s too late or extreme circumstances. You have one life and one body, why not take care of this one and live life to its fullest and be your happiest self.